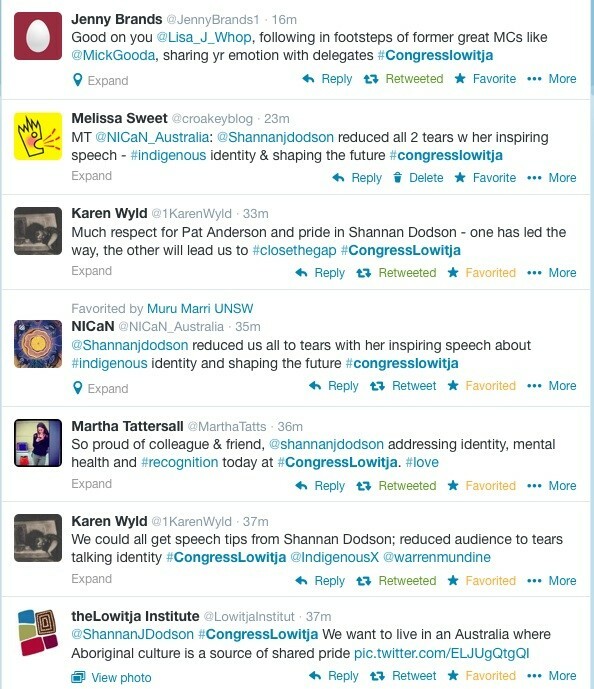 This is the final instalment of Croakey’s coverage of the recent Congress Lowitja. Marie McInerney reports on Professor Marcia Langton’s advice for the community controlled sector and a new book that promotes family wellbeing and empowerment. 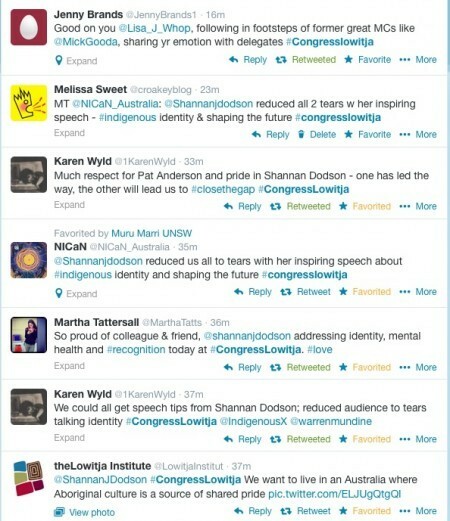 And towards the bottom of the post are some Twitter highlights and photos from the conference. Leading Aboriginal academic Marcia Langton has called on Aboriginal health organisations to “close the gap” between what people, particularly government, think they do and what they do in reality – in the provision of efficient, effective mainstream services and an evidence base to their work. 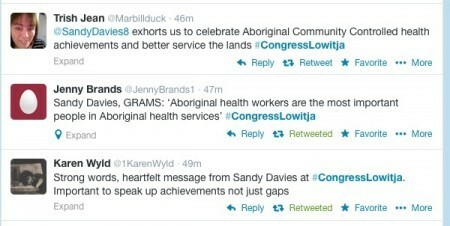 Closing Congress Lowitja 2014 , Langton said Aboriginal community controlled health organisations should “climb out of the trenches”. She said they must stop thinking that their approach is under threat, as it was clear that a number of organisations and services were highly valued (if not publicly) by government as the “modern, efficient, cost effective mode of delivery” in large areas of Australia. 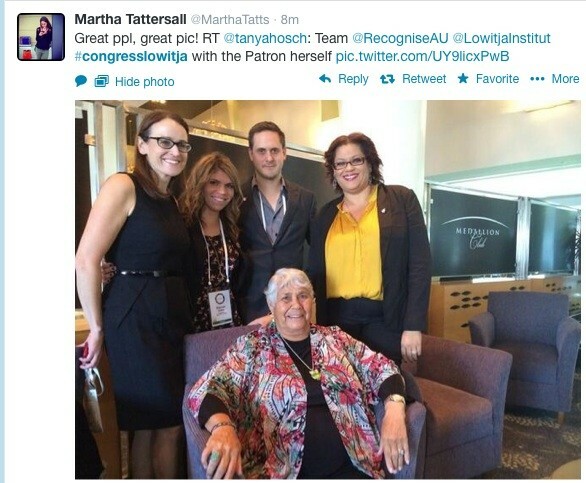 These included the Queensland Aboriginal Islander Health Council (QAIHC), Katherine West Health Board, the Central Australian Aboriginal Congress and the Western Desert Kidney Health project, she said. 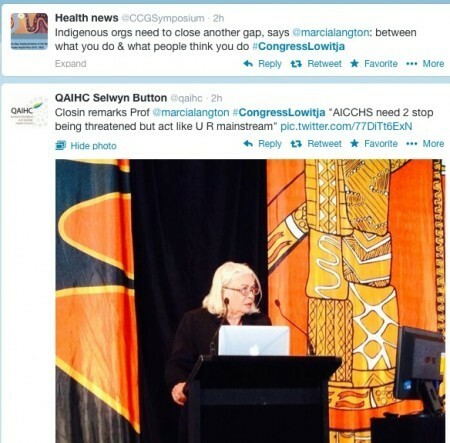 “Once you go beyond the ‘sandstone curtain’ as it’s called, north of Melbourne, west of Brisbane and Sydney, the Aboriginal community controlled health organisation appears to be emerging as the mainstream service delivery,” she said. “I want you to start imagining yourselves as the mainstream,” she said. 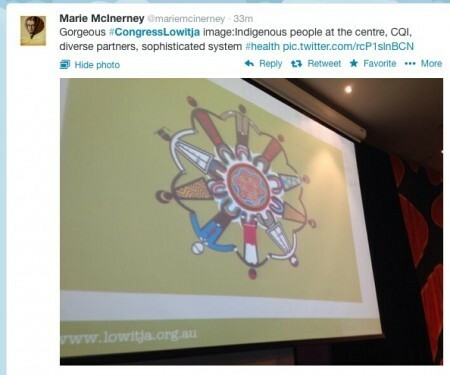 “So you are in fact showing the way of the future and if Warren Mundine (chair of the Prime Minister’s Indigenous Advisory Council) had stayed for the rest of the conference, he might have realised that some of his injunctions to you were slightly out of place and your approach to developing analytical tools, indicators and reporting are in advance of what the government imagines that you do,” she said. 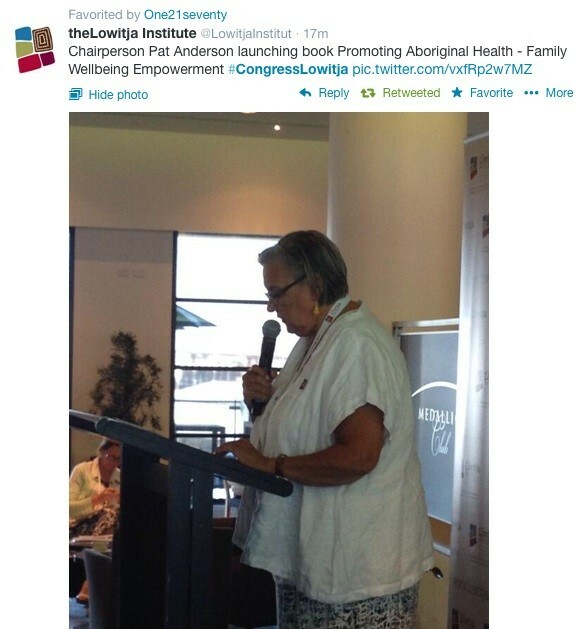 A new book – Promoting Aboriginal Health: The Family Wellbeing Empowerment Approach – was launched at the conference that lays out a framework of elements that should be fostered by policies and programs that seek to empower Aboriginal Australians. 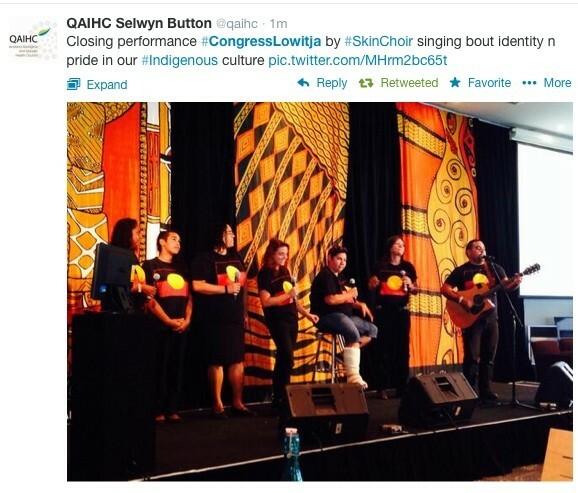 Do we understand and acknowledge the challenges of people’s history/social environment? 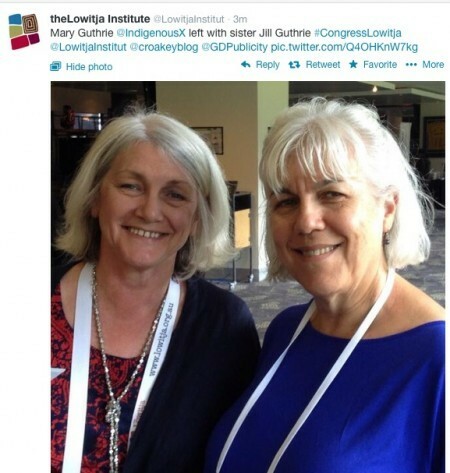 Do we work in partnership with sources of support (family and other)? Do we help people to see they have choices in life? Do we encourage positive thinking? Do we respect people’s spiritual beliefs? Do we treat people with respect, acceptance and compassion? Do we help people to see they have knowledge and competencies? Do we facilitate open communication? Do we encourage/support personal and relationship healing? Do we allow people to take on helping roles themselves? 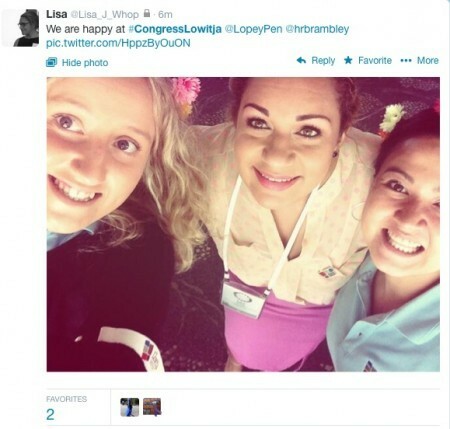 Do people have opportunities to influence organisational or community change? 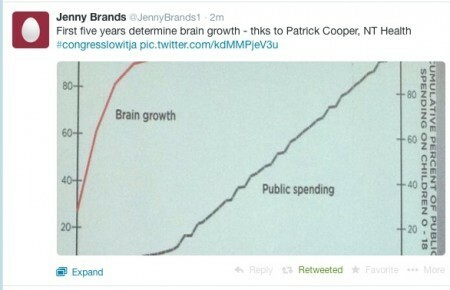 Do we acknowledge positive changes, no matter how small they might be? 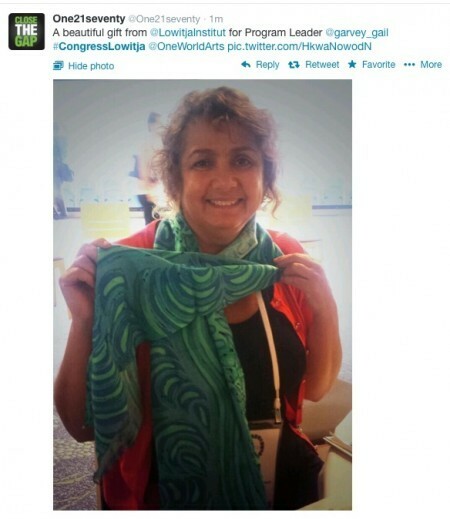 Do we document change and take an evidence-based approach to empowerment? The book outlines the Family Wellbeing program, developed first in 1993 by the Aboriginal Education Development Branch of the South Australian Department of Education, in response to the Royal Commission into Aboriginal Deaths in Custody. Although it has struggled pretty much since for long-term funding support, it’s been delivered to more than 3,300 people in 56 sites across Australia and the book catalogues its impact through case studies and evaluation, both theoretical and practical. Co-author Mary Whiteside said it aims to document the evidence around empowerment – a term she admits a lot of people don’t like because “it’s a bit too fuzzy” – and to draw out what it actually means, what it involves, how empowerment can be fostered and how policy and practice can support it to enable people to take more control of their day to day lives. At just over 50 pages, it’s deliberately short and sharp, designed to be read overnight. “It’s a small book, but I think a very powerful message based on many years of people’s lived experiences,” she said. 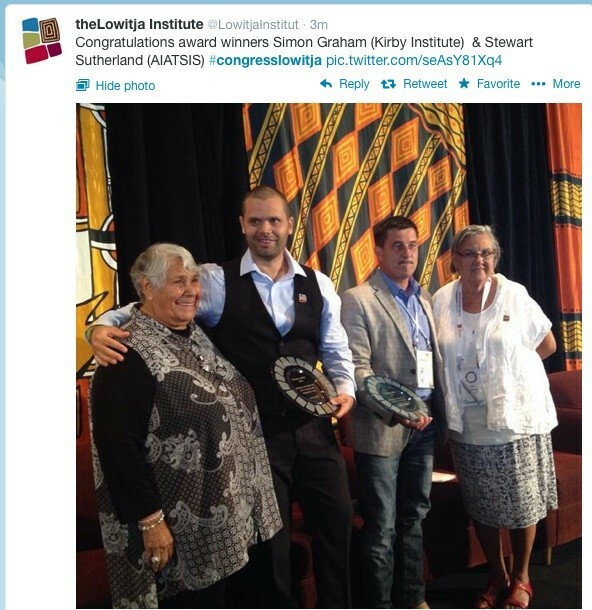 “It shines a bright light on a neglected aspect of Aboriginal health, it shows what can be achieved when communities embrace change and it sounds a clarion call for continued resourcing of empowerment programs. 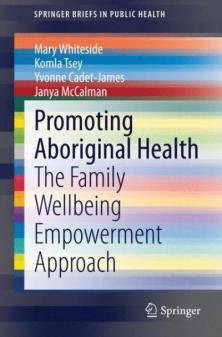 The authors note that they don’t want to overgeneralise their findings on Family Wellbeing to all Aboriginal Australians, but say evaluations have been positive across a range of sites in Australia, as have those for trials in Ghana, Papua New Guinea and with the Meti people in Canada. And they say the findings are relevant to emerging understandings of sustainability: that is, to live lives in ways that do not disadvantage the lives of others within present or future generations. What do I want for myself and my family? In today’s society, who is benefiting and who is missing out? Is there a role I can play to make this happen? How can we work together to make this happen? 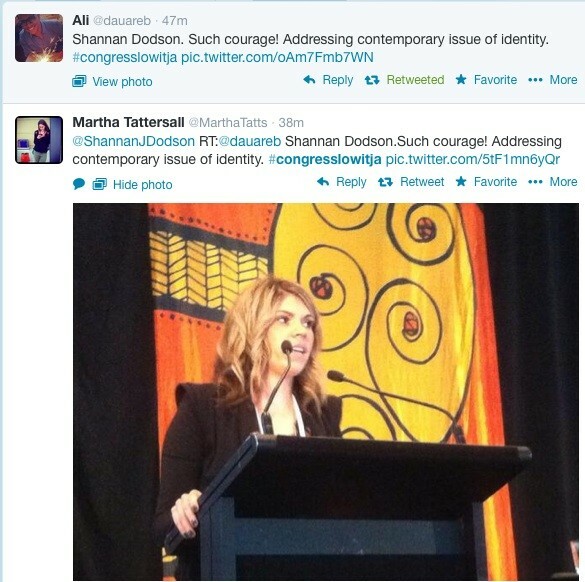 Shannan Dodson’s personal reflections about identity generated a warm response from the crowd. 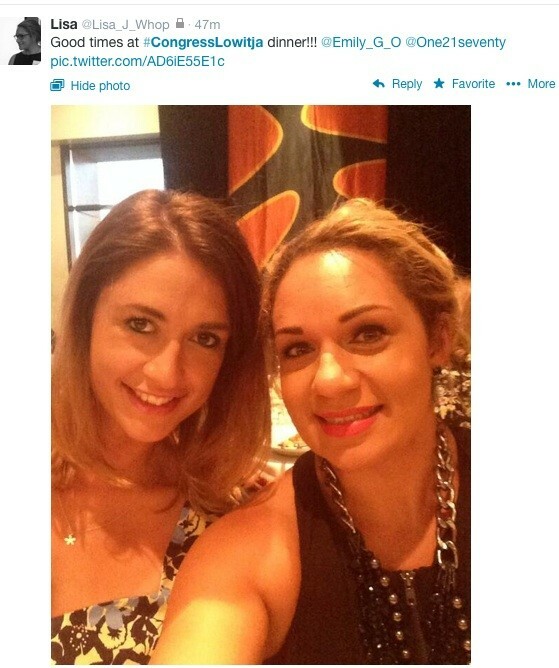 And there was some excellent photo-bombing…. • Photo credit (above) James Henry. James is a photographer, and also a musician who has performed with artists and groups such as the Black Arm Band, Archie Roach and the Skin Choir, as well as being a singer/songwriter in his own right and resident sound engineer at Songlines Aboriginal Music. 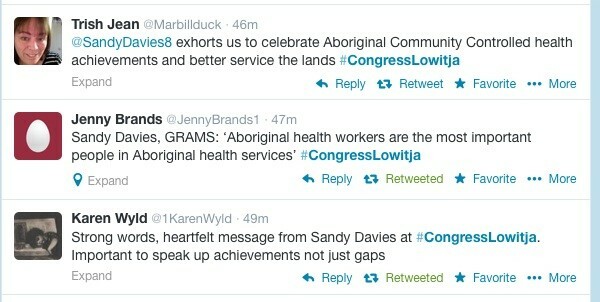 • You can see all of Croakey’s coverage of Congress Lowitja here.